Steamed Chinese Dumplings just like you get at a restaurant, but better. 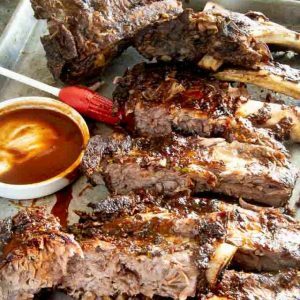 They are so easy you will wonder why you haven’t made them long before now. 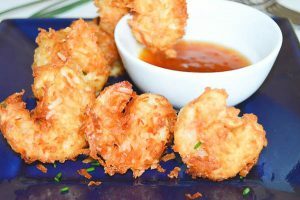 Served with a soy Sriracha based dipping sauce and you have a delicious appetizer. Like the restaurant quality steamed dumplings you get when dining out? These Steamed Sew Mai dumplings are a great copycat version of what you find in restaurants, only healthier and better tasting. 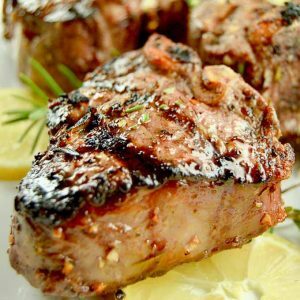 Using all fresh ingredients, they are just the answer to have as an appetizer for when you have a few people over. 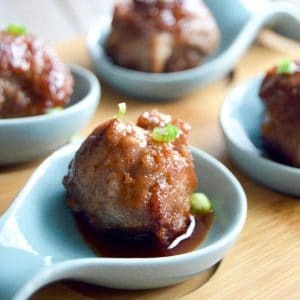 Chinese dumplings are a bite sized pocket filled with either vegetables, pork, shrimp usually. Every culture has their version of dumplings. gyoza (Japanese) Ravioli (Italian) Potstickers (Chinese) Shumai or Sui Mai (Chinese) Perogi (Polish/Ukranian). 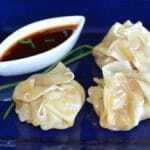 They can be made with wonton wrappers or rice paper. 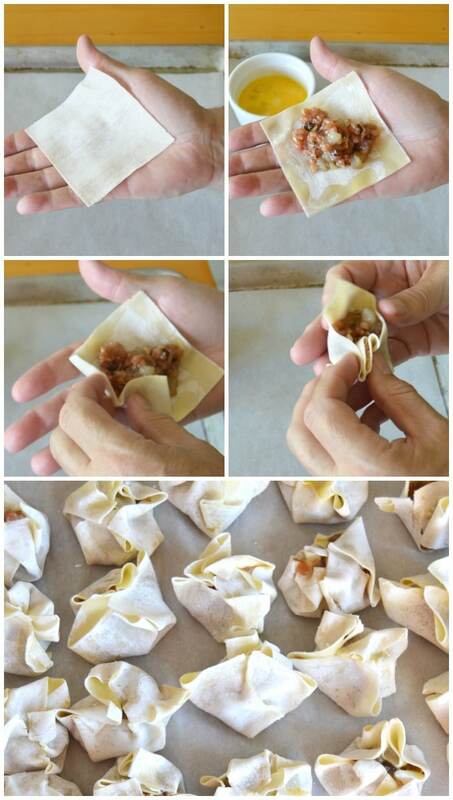 (I suggest you use wonton wrappers for ease in prep, but homemade ones work well too. They can be either steamed, fried or in some cases boiled. The beauty of this recipe is you can assemble them ahead of time and then steam them when your guests are arriving so they are fresh and hot. I’ve actually even steamed them completely then did a quick re-steam to warm them up and they are beautiful too! 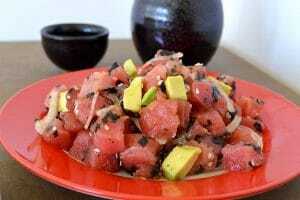 This is another recipe I learned from Jet Tila. I took several cooking classes with him before he became the go to judge on Cut Throat Kitchen and I must say, every single one of them is a winner. I have used so many of them over and over because they taste authentic and they are pretty easy to do! Pin this to your bite sized appetizer board so you have it when you are looking for more fun appetizers! The trick to these is getting them into the right shape. I’ve taken some pictures here to give you the general idea. Set up a station of your packaged won ton wrappers, a bowl of egg wash with a brush in it ready to use, the marinated pork/shrimp/mushroom filling with a teaspoon in it and finally a cookie sheet dusted with flour. Place one wrapper in your hand then brush the area on the outer edge with the egg wash, place a teaspoon dollop of the filling in the center then cup your hand and gradually squish it so it has the edges all wrapped around the filling. When you have the wrapper up tight to the filling, place it on your flour lined/parchment lined baking sheet. Then you take your hand and smush the tops down. 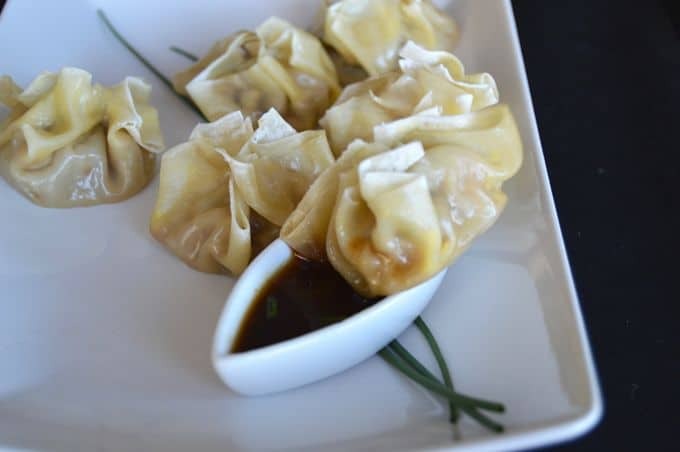 I’ve paired these Steamed Chinese Dumplings with a sweet soy based dipping sauce. The sauce has a little bit of heat with the Sriracha sauce, and mmmm they really hit the spot. And bonus? 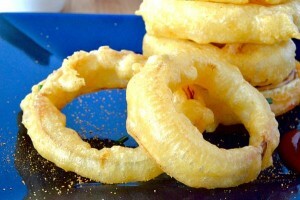 They pair well with a the original Mai Tai or even Sapporo beer. If you are always on the lookout for fun appetizers to make or entertaining tips be sure to sign up for my mailing list thru the link on this page where it says “join the west via midwest community”. In the mean time, be sure and check out these fun appetizers to make for your next Friday Night Get together! Like the restaurant quality steamed dumplings you get when dining out? 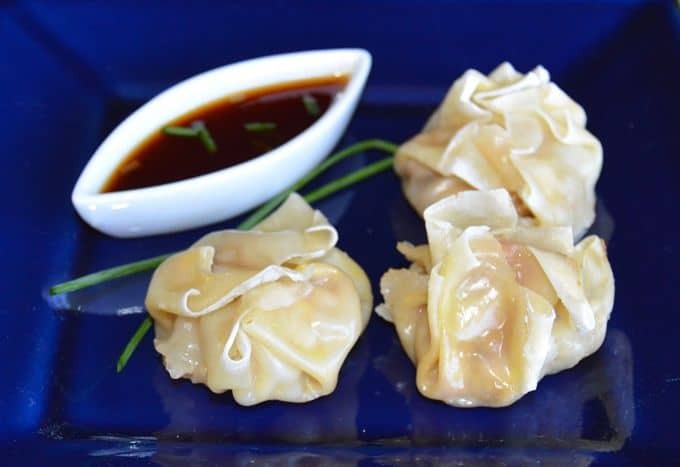 These steamed sew mai dumplings are a great copycat version of what you find in restaurants, only healthier and better tasting. Using fresh ingredients, they are just the answer to have as an appetizer for when you have a few people over. In a small bowl mix all ingredients except the dumpling skins and let rest for 4 hours up to overnight. To make dumplings, set up a station in this order: dumpling wrappers, egg wash with brush, pork filling with teaspoon, baking sheet dusted with flour or lined with parchment paper. Place wrapper in palm of your hand, brush edges with egg wash, then place one teaspoon of filling in the center. Cup your hand gradually wrapping wrapper along all sides of filling. Place dumpling on baking sheet, with your hand smush the top down. You should get 40-50 dumplings with this recipe. Using a steamer place the dumplings with some 1/2" in between. Steam for 6-8 minutes until cooked through. Repeat process until all steamed. These dumplings may be made early in the day then cooked when you're ready. Or you can steam them right away and then just warm them up either in a steamer or the microwave. Can be frozen after cooking in an airtight container. Allow to thaw then rewarm in a steamer or microwave. A perfect accompaniment for dumplings! In a small bowl combine all ingredients except garnish. Cut green onions or chives into small pieces. Add garnish right before serving. Can be stored in fridge for 7 days. These look so good! Especially with this sauce! The sauce also works as a great dressing for a salad! Thanks for stopping by! Putting these on my “must make” list right now! The filling sounds amazing! I’d love to make these beauties! love the instructional photos. Really helpful in sealing these dumplings! Great! Great pictures on how to wrap these! looks delicious! I have a total weakness for steamed dumplings! Your little dumpling beauties look wonderful! I love sio-mai (how we say it in Manila – isn’t it amazing how there are many variations to its name?) and your version looks and sounds absolutely yummy! Pinning to try later! Sounds incredibly savory and easy enough to do on a weeknight! I’ll have to make it this week! Delicious… I love dumplings so much and these look wonderful. 40 to 50 pieces is a lot! Can I freeze them? The dumplings look so tempting! 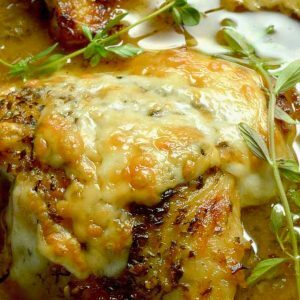 I am pinning this recipe! Love the dipping sauce too.